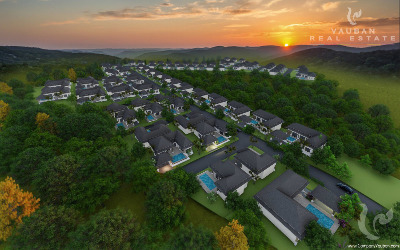 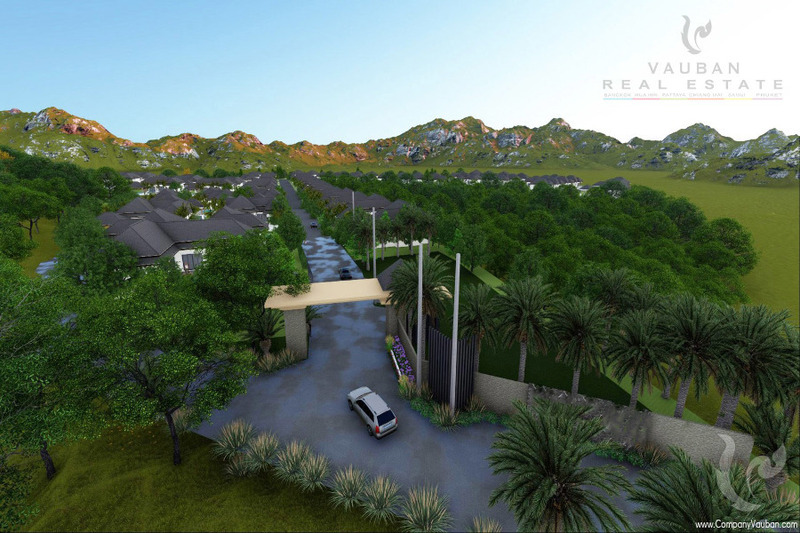 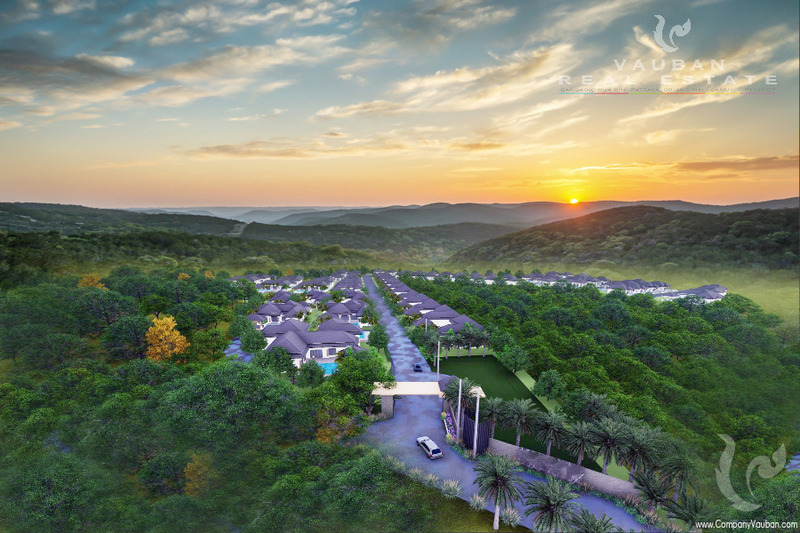 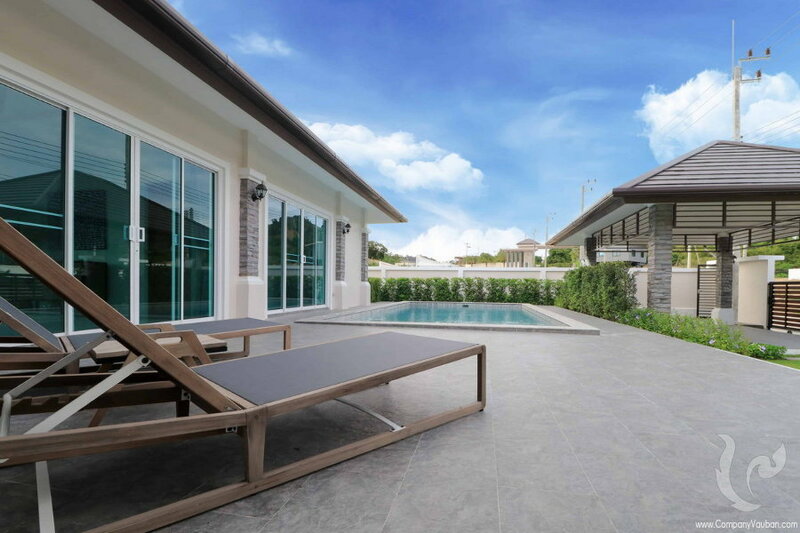 Nice contemporary villas all surrounded by nature and green hills, with a nice view of the mountains. 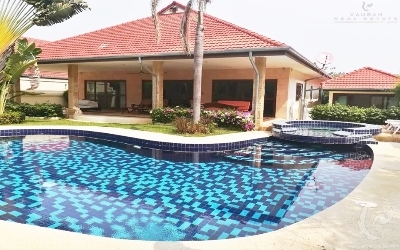 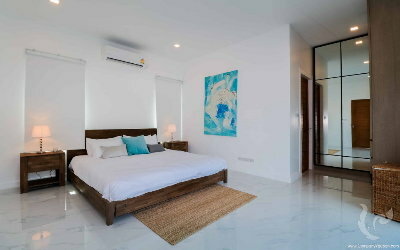 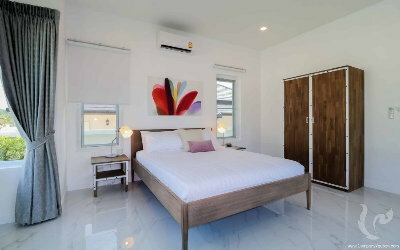 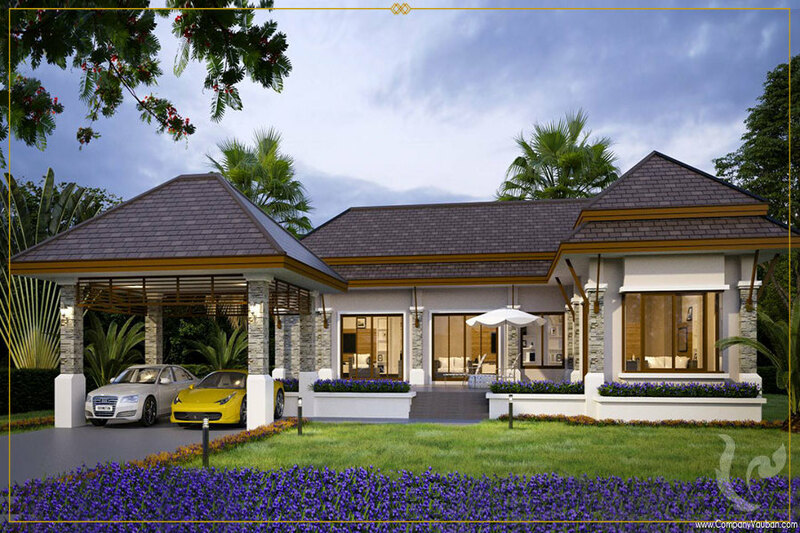 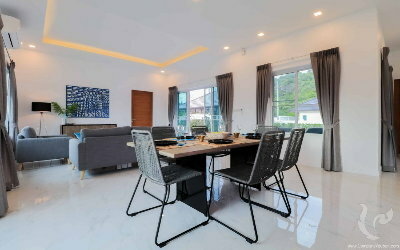 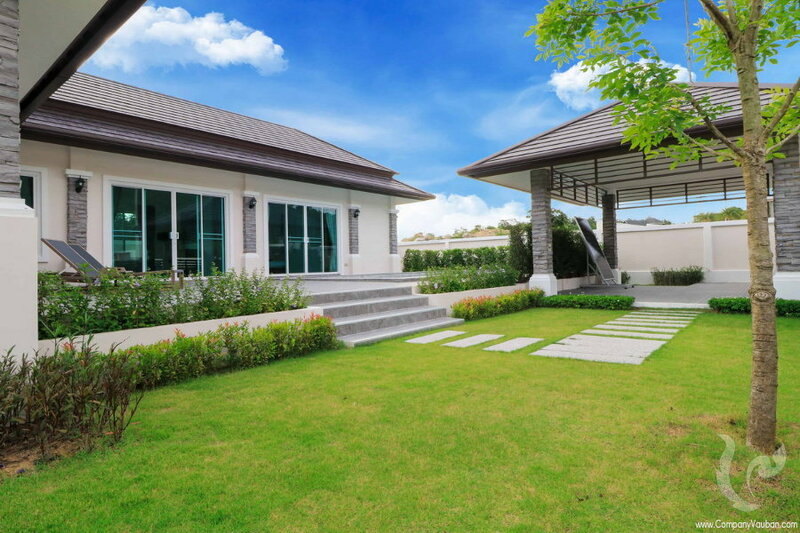 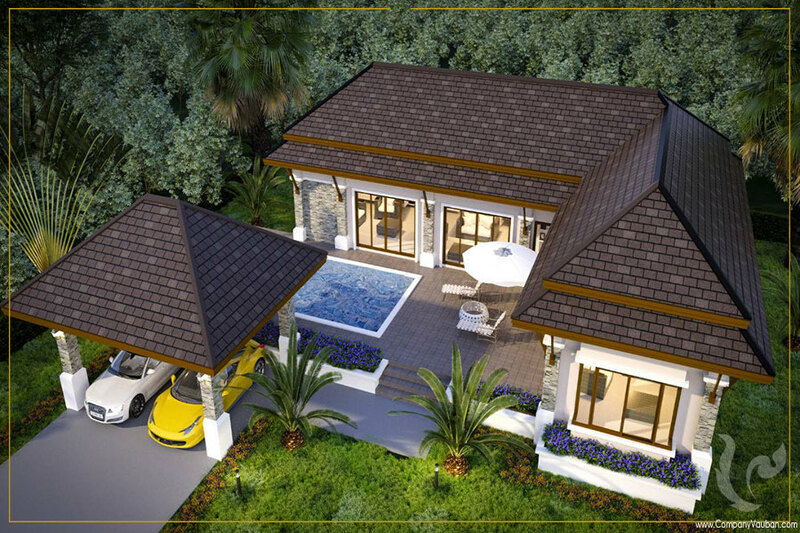 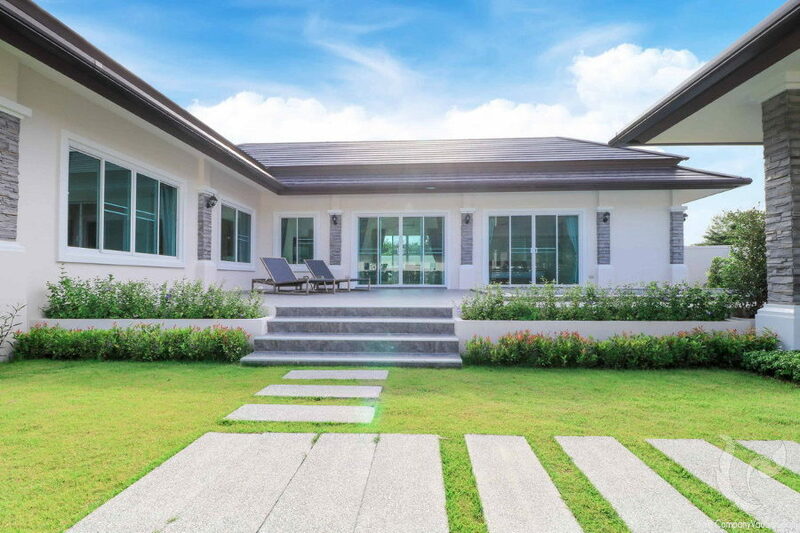 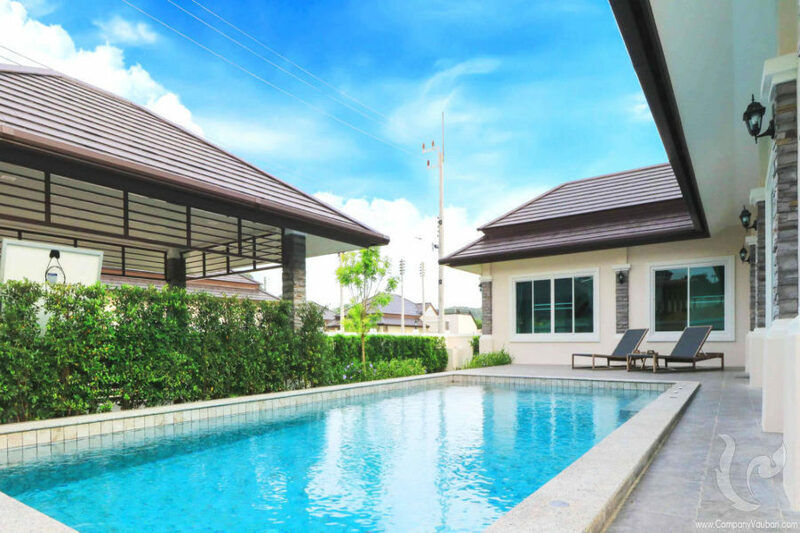 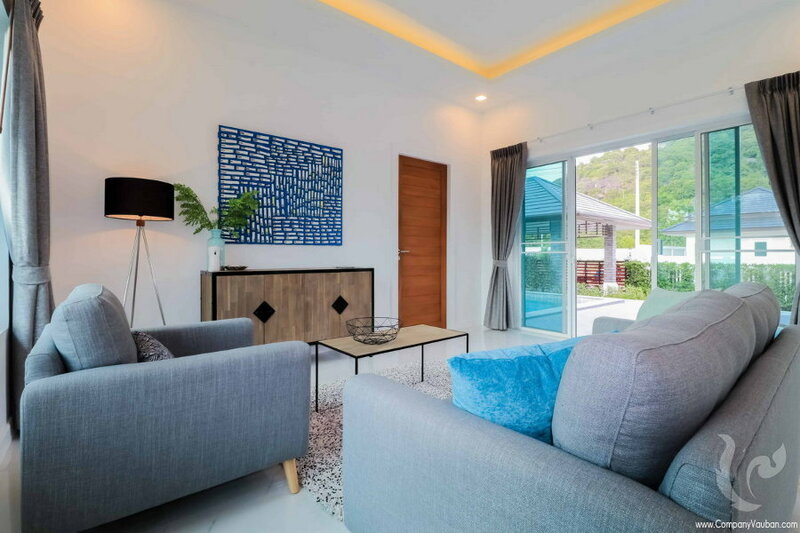 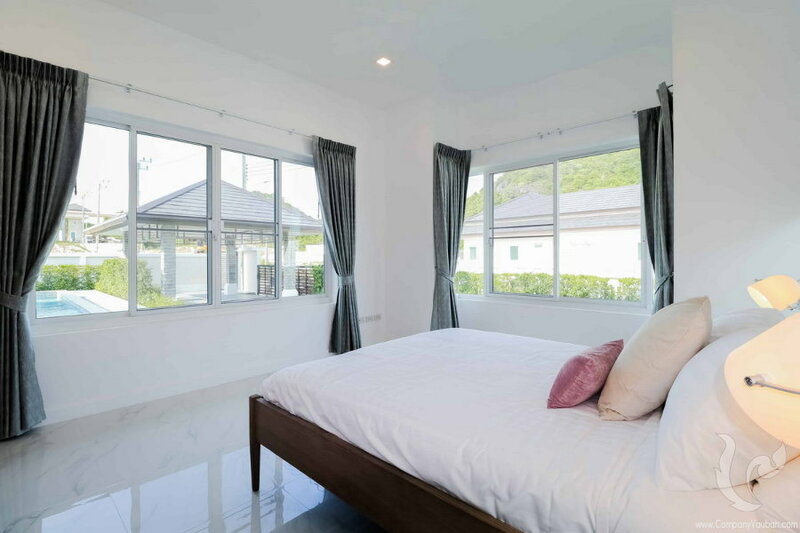 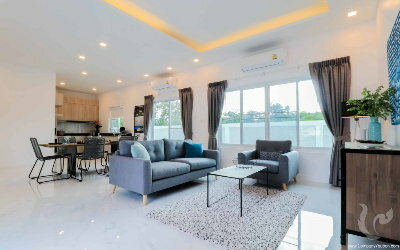 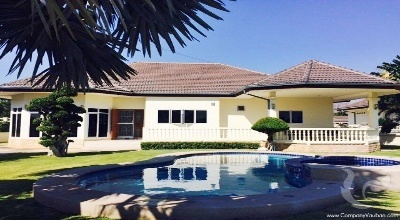 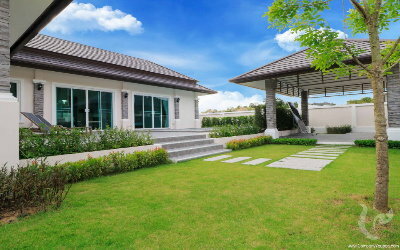 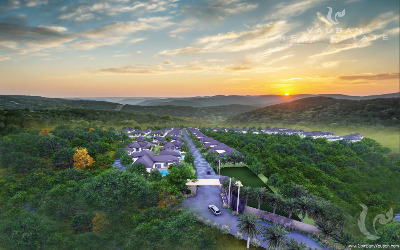 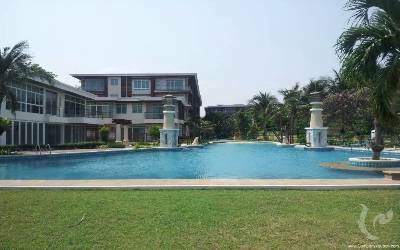 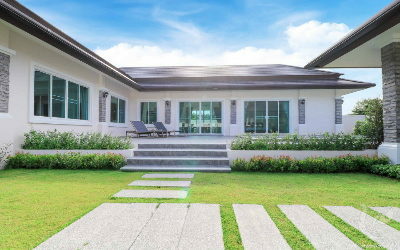 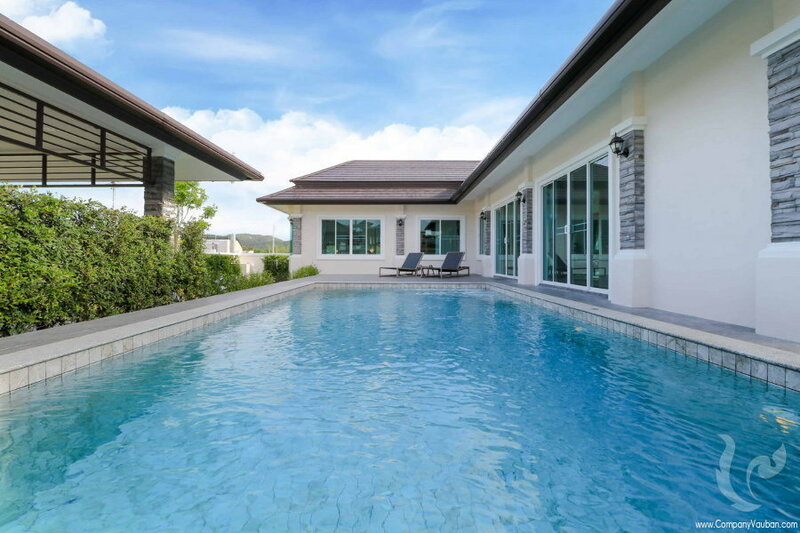 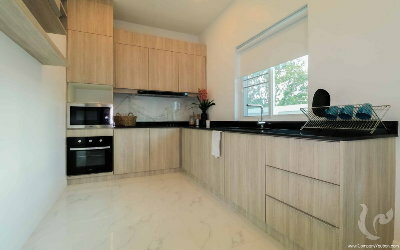 Located 4 km from the center of Hua Hin, these luxury houses have a central location yet surrounded by beautiful nature in a quiet surrounding. 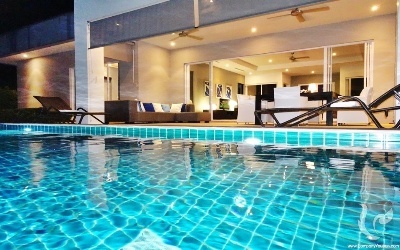 Villa with pool, 3 bedrooms and 2 bathrooms on 271 m² living area. Build in wardrobe in master bedroom and fully fitted kitchen and electrical appliance. 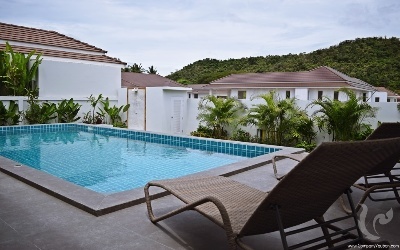 The villas have a large pool on the terrace and a private car park. 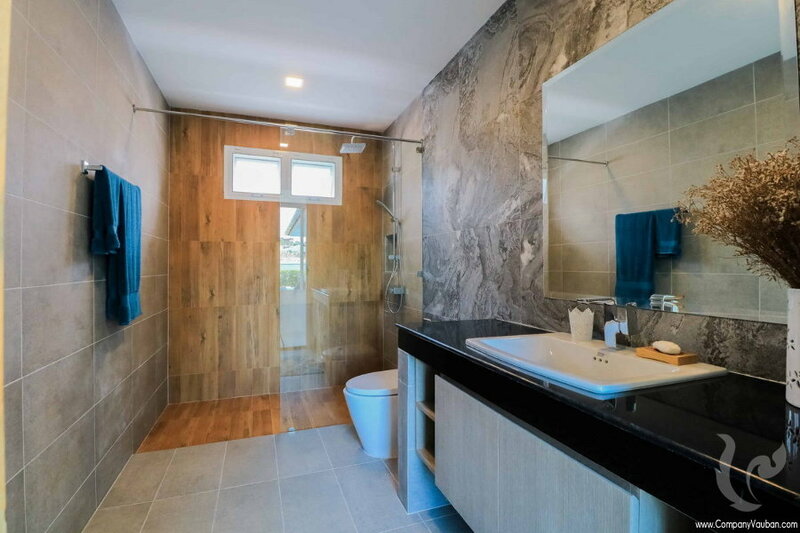 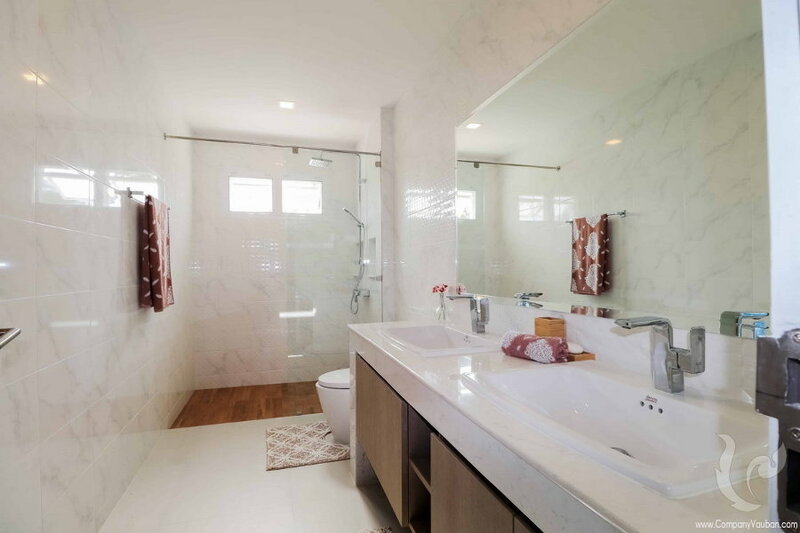 This location and design offer a great potential for holiday rentals and a possible return on your investment. 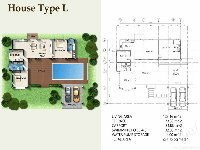 Land area from 480 until 1036 m². 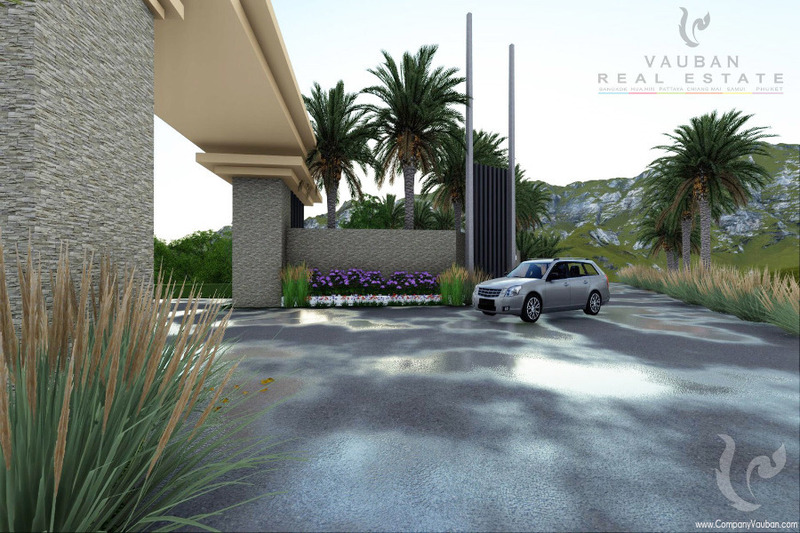 Maintenance fees free until december 2020! 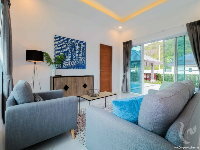 Residence close to the city centre nice contemporary villas all surrounded by green hills, in a very quiet place at only 4 km from the centre town. 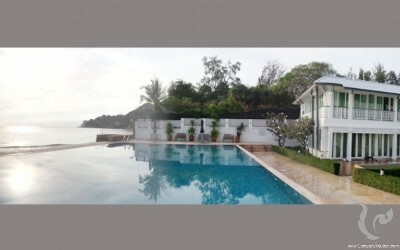 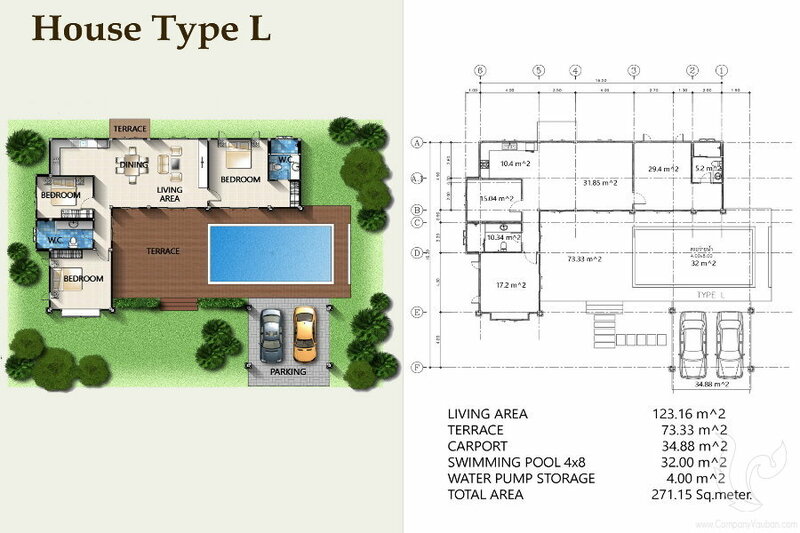 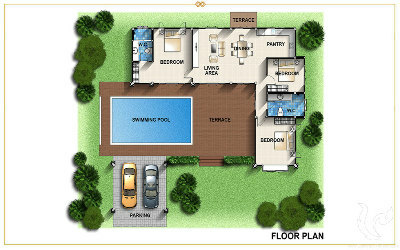 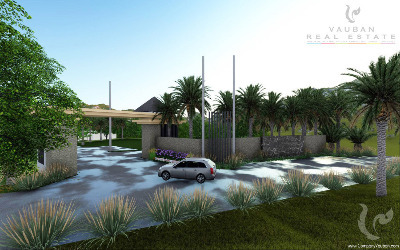 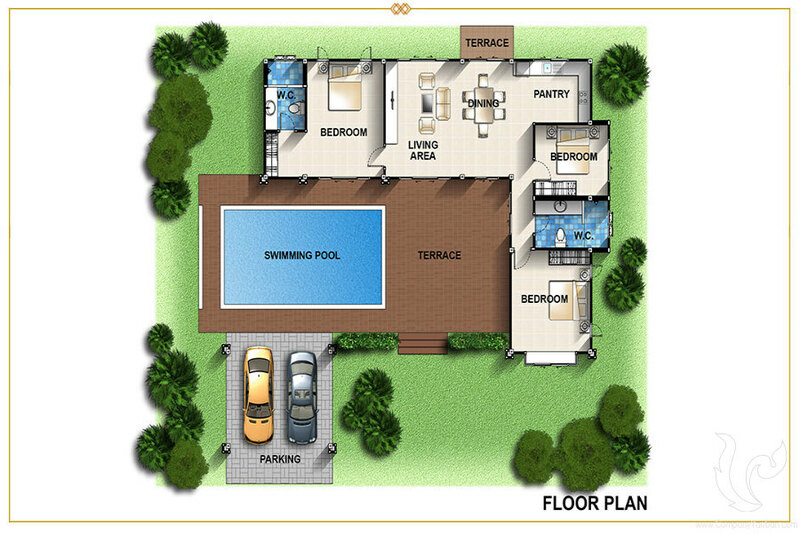 villas with pool and with 2 or 3 bedrooms, car park. 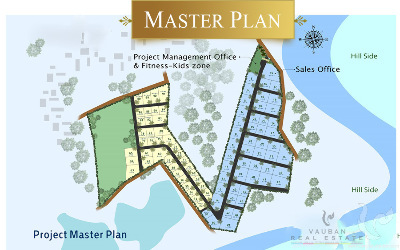 plot from 258 to 1036 sq.m.